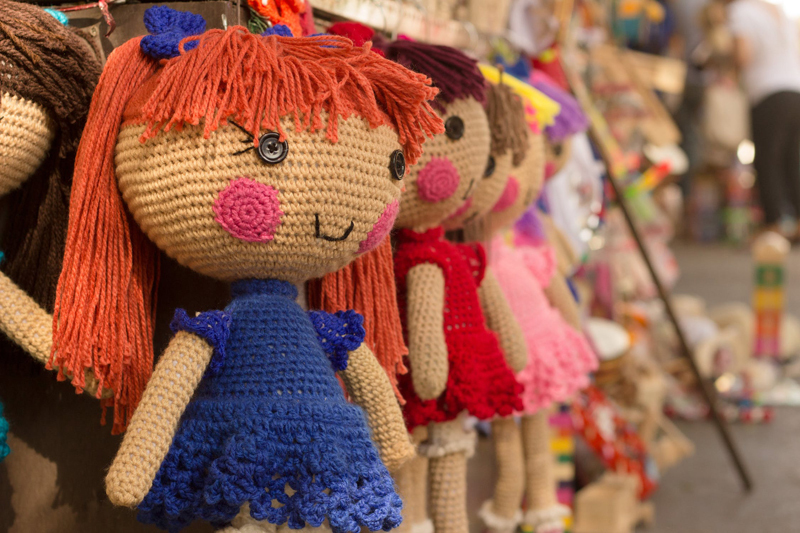 This article is for everyone who must have a "girl" bear. 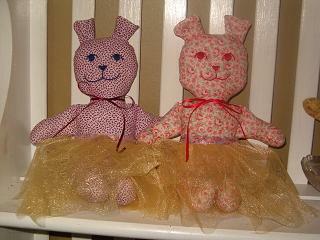 It is very easy to do, simply by adding a ballerina tutu or a skirt. Fold the tulle in half to form a rectangle 9 inches wide by 30 inches long. Using a long basting stitch, stitch down the length of the folded tulle, 4 inches in from one side and 5 inches in from the other side, as in the picture. 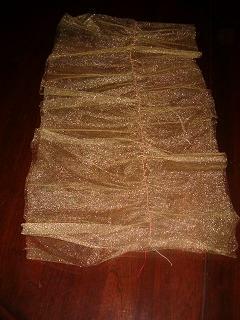 Pull one of the stitching threads to gather the tulle until it measures 9 inches long, down from 30 inches. Fold the tulle on the stitching line. This will give you a tutu with two 5 inch layers on the bottom and two 4 inch layers on the top. 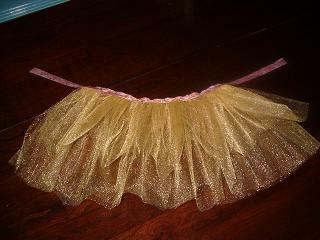 The 4 inch layers, the top, is the right side of the tutu. Pin the skirt to the center 9 inches of the ribbon, with the both the ribbon and the skirt facing up. Stitch the ribbon to the skirt. Tie the skirt onto your bear with a bow at the center back, like an apron. Pull the layers of tulle apart gently to fluff out the tutu. A variation of this tutu can be made by stitching the ribbon to the top of a 10 inch long piece of four inch wide eyelet or lace trim. The eyelet or lace trim will need to be hemmed on the cut ends. The convenient part about using tulle is it does not need to be hemmed.